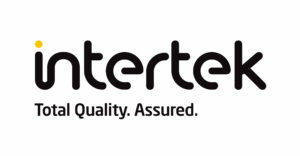 Intertek is a Total Quality Assurance provider of assurance, testing, inspection and certification services to a wide range of industries, across almost every business sector. Our Intertek UK experts work in partnership with clients to support the quality and safety of their products and services, as their supply chain operations are growing in complexity, and distribution channels are becoming more global and diverse. Intertek UK & Ireland is an integral part of Intertek Group, a FTSE 100 company, and the UK & Ireland business has over 2,000 scientists, engineers and technicians working across 59 laboratories and sites throughout the UK. We deliver Total Quality Assurance solutions across a wide range of industries – from car engine emissions to nutritional labelling, testing the quality of crude oil to children’s toys or the safety of pharmaceutical products, providing assurance that they are fully compliant with quality and safety UK or international standards.